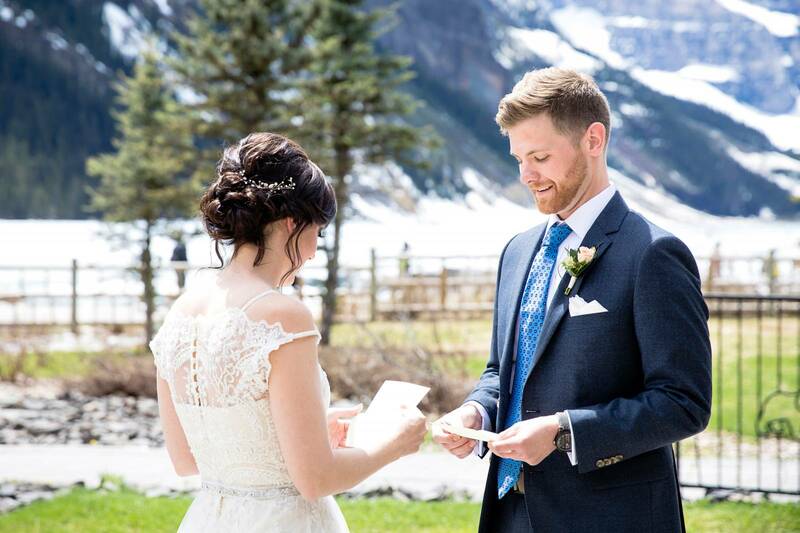 Well the first day of Spring has come and gone but you probably wouldn't know it by looking out my window in Canmore. 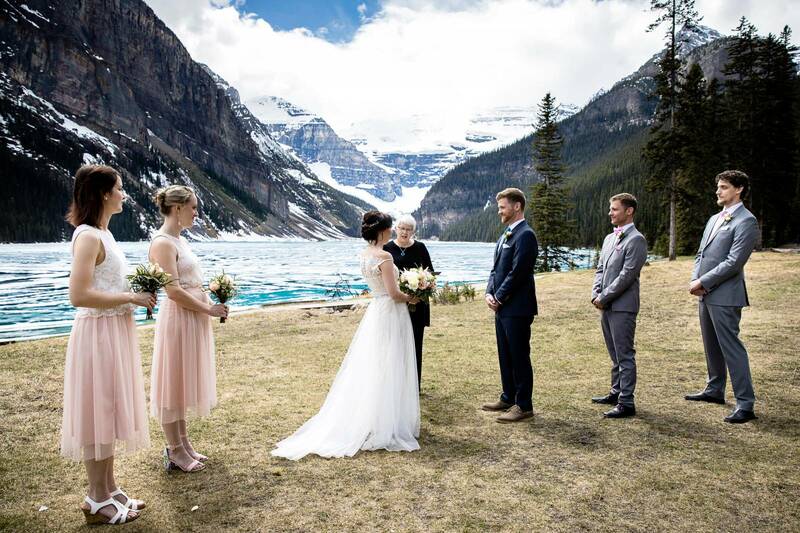 Either way, the mountains remain beautiful and we have a gorgeous elopement from Lake Louise wedding photographer, Kim Payant to share with you today! 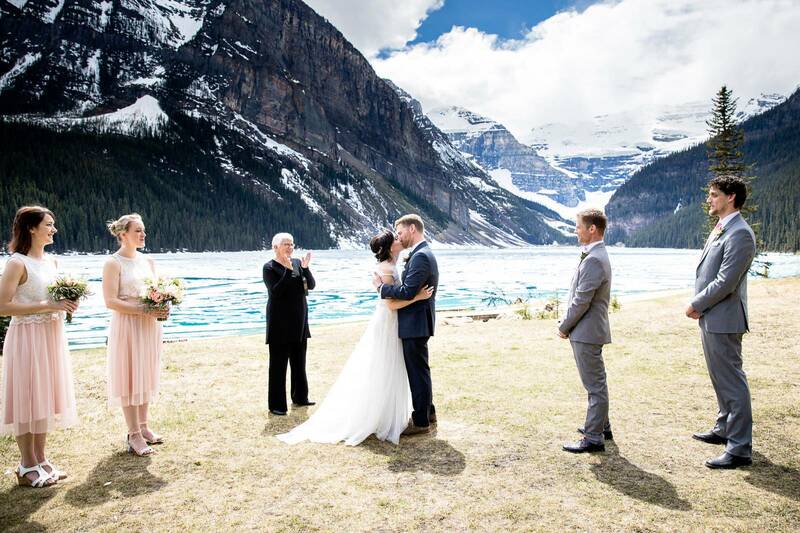 Amy and Zach eloped in a beautiful ceremony beside the crystal waters of Lake Louise with five incredibly special guests on-hand to witness their union and celebrate alongside. 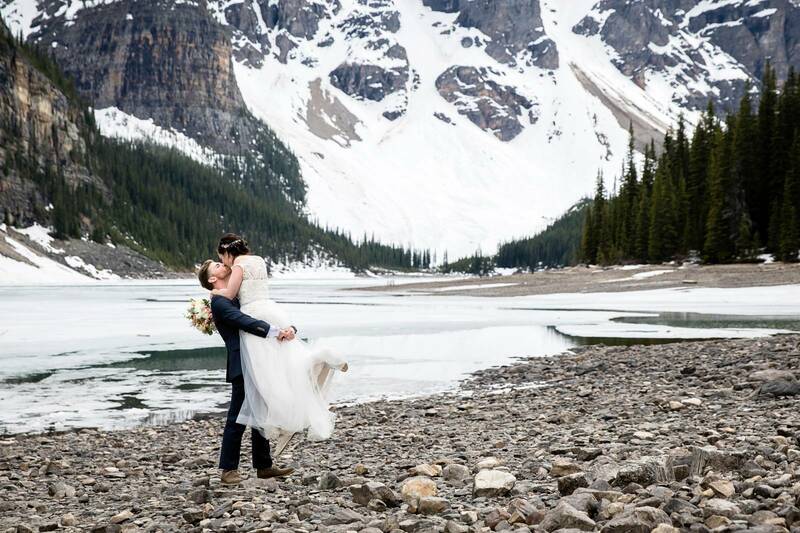 The beautiful elopement was coordinated by Something New Weddings. 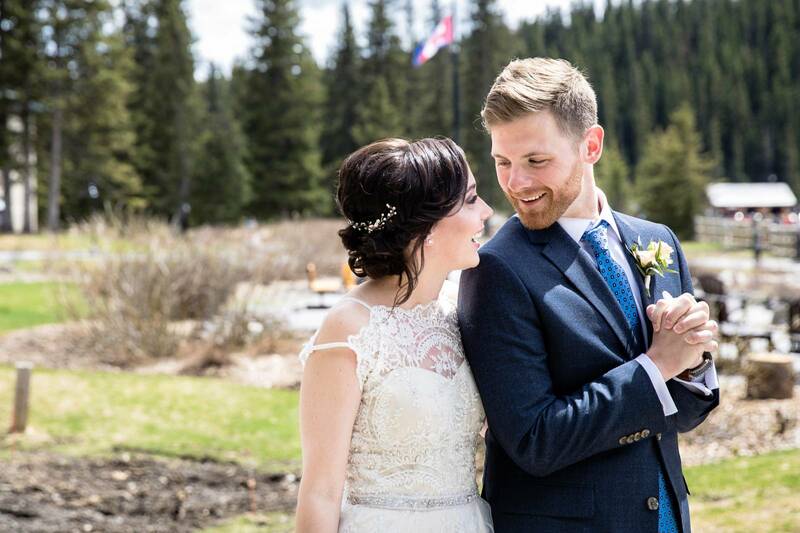 Amy grew-up figure skating and training in Lake Placid surrounded by the Adirondack Mountains. 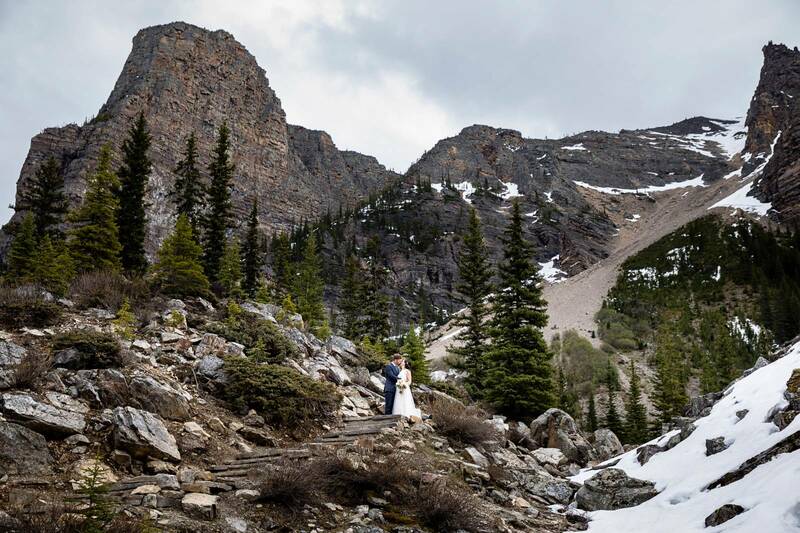 Together Amy and Zach love hiking, biking, skiing and snowboarding in the mountains, so they knew getting married in the mountains was a perfect choice! 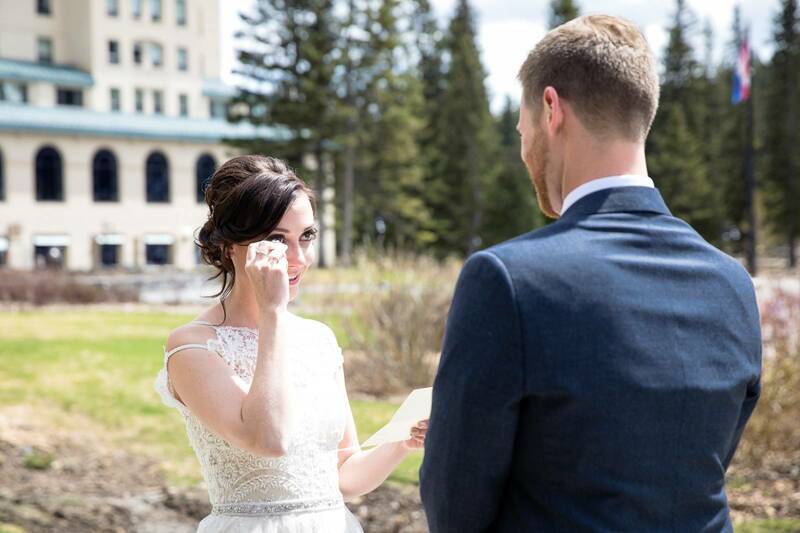 One of Amy's favourite moments of the day was their first look. 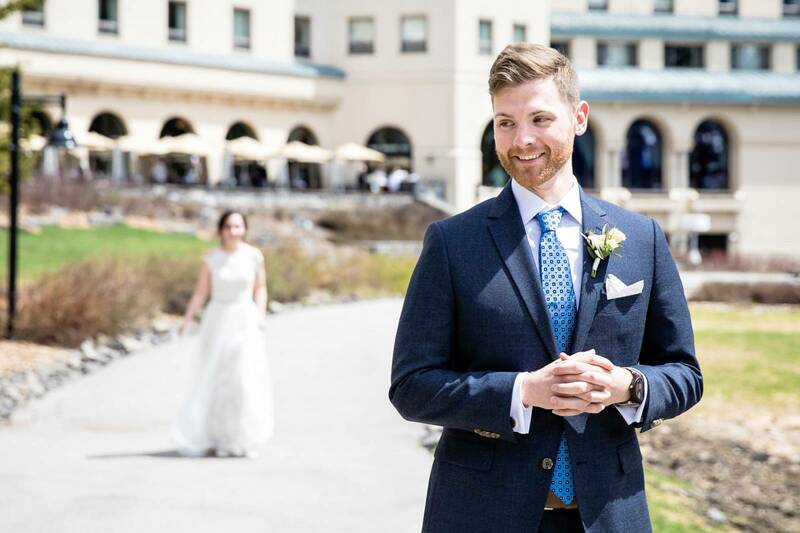 She was able to sneak-up on Zach and the two of them exchanged heartfelt letters to each other before the actual ceremony. 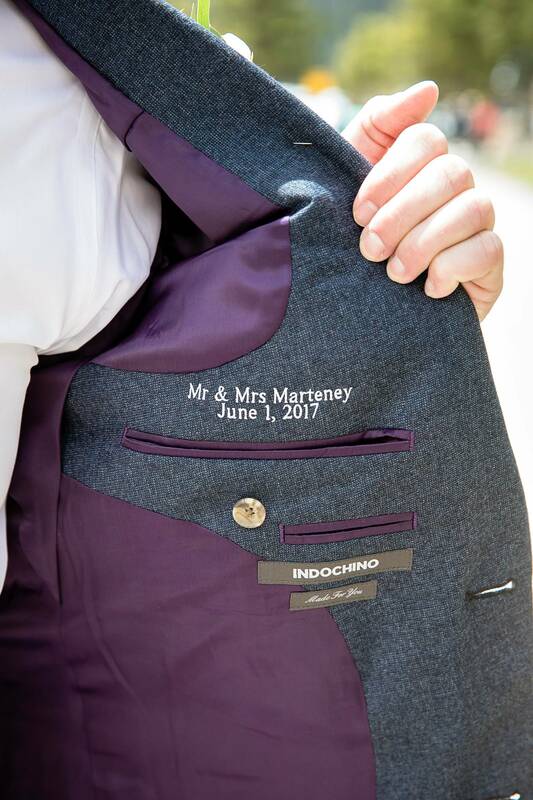 It was a special moment that allowed them to relax, laugh and share a memory they will never forget. 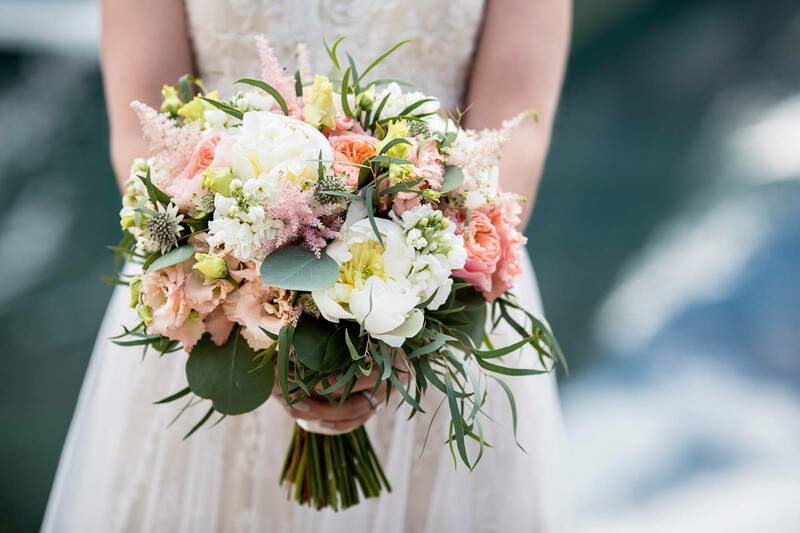 This gorgeous bouquet designed by Willow Flower Co. was brimming with Spring colours and full of texture and beauty. 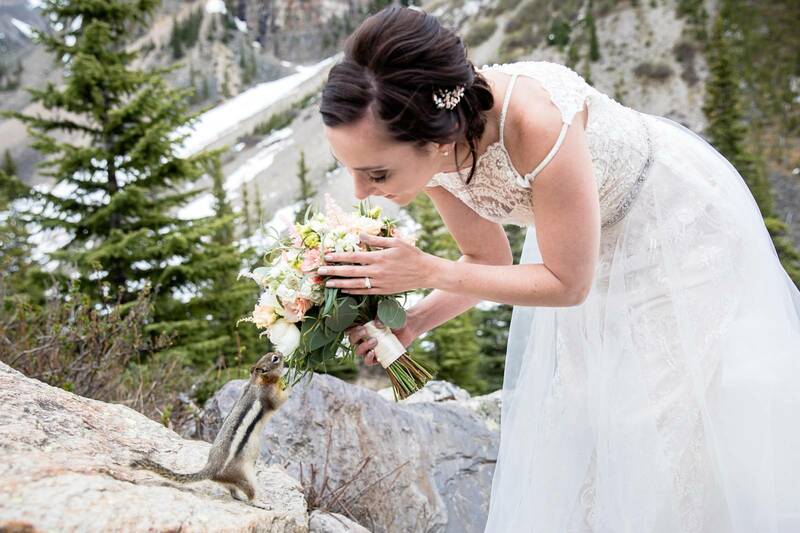 The bouquet feels as if it were picked right out of a beautiful mountain meadow and has us dreaming of spring flowers poking through the ground (or snow in this case)! 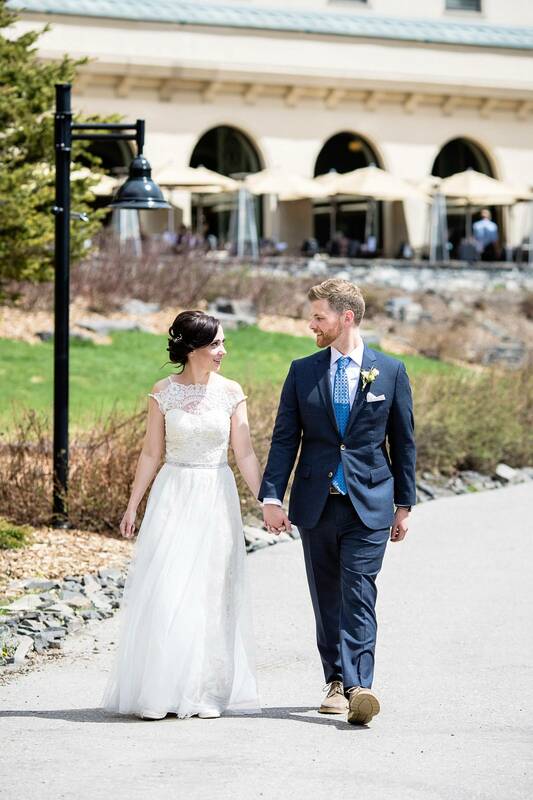 Amy's gorgeous flowing lace dress was designed by Catherine Dean for BHLDN. It was actually the only dress she tried on as she instantly fell in love with it and new it was the perfect dress! 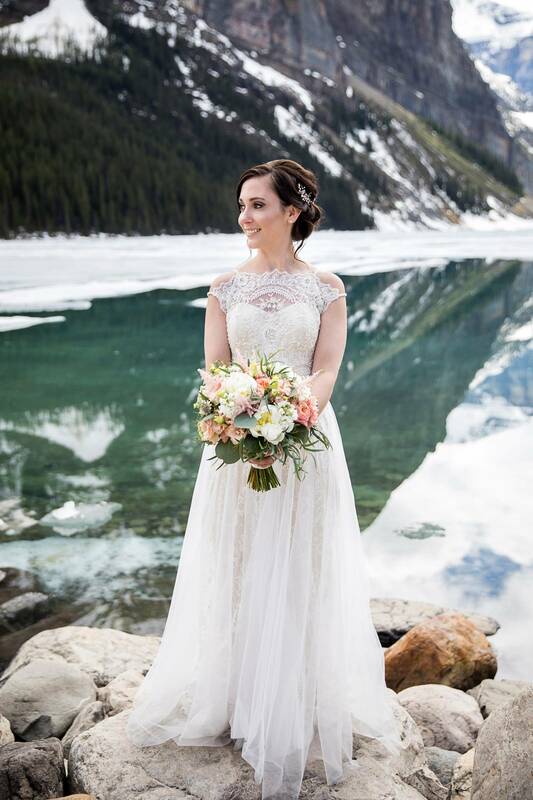 Her gorgeous hair and makeup was created by Banff makeup-artist team, Mountain Beauties. 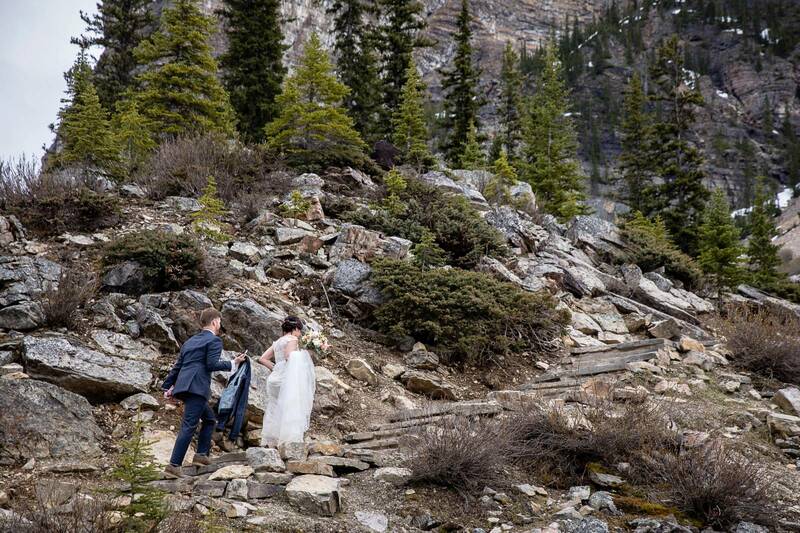 Another favourite moment for the couple was their photography session and time together exploring the mountains after the wedding ceremony. 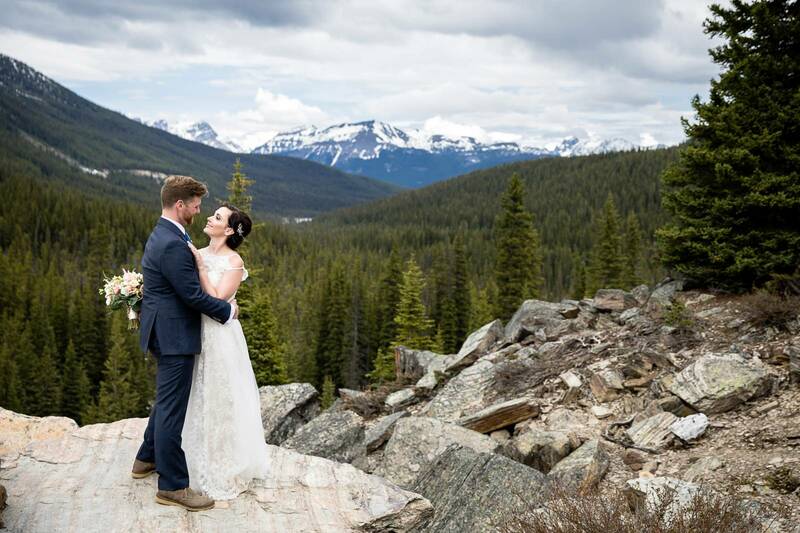 "Our photographer, Kim Payant, made us feel at ease and captured some beautiful moments on some high cliffs overlooking the most stunning scenery." 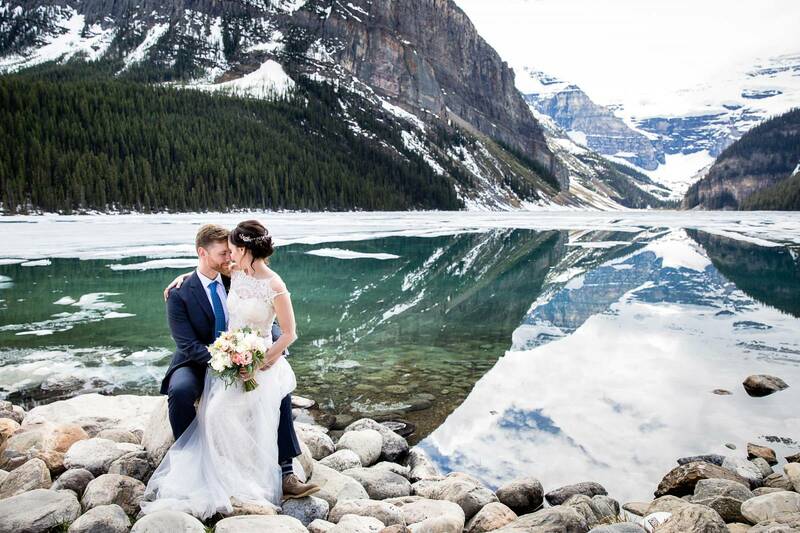 Once again a huge thank-you to Lake Louise wedding photographer, Kim Payant for sharing this beautiful elopement with us! 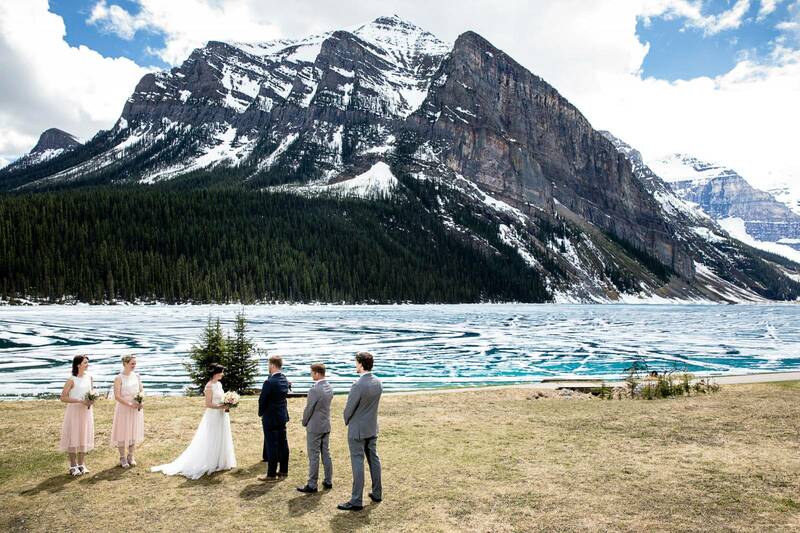 Kim is based in Banff and travels throughout the Rockies to capture the most amazing wedding photos, be sure to check out more of her work here. 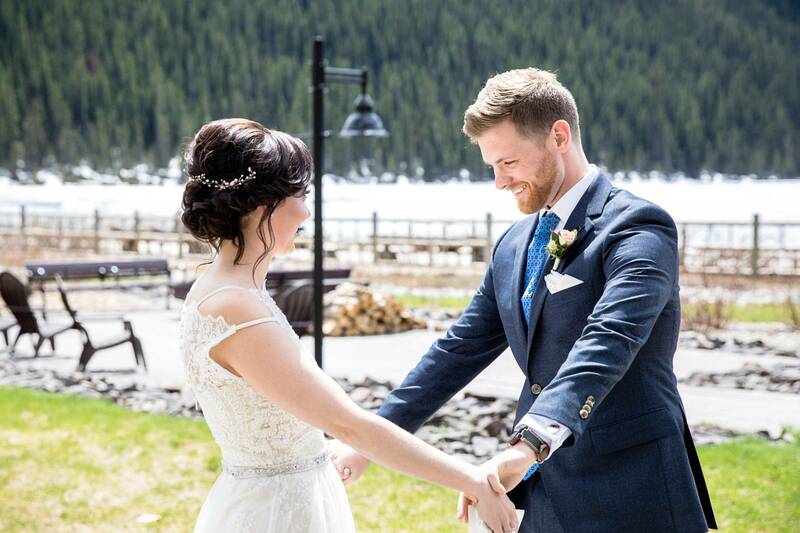 Plus, there are a host of amazing wedding vendors who made this elopement perfect and you should check them out as you plan your own wedding or elopement in the Canadian Rockies.